Lakeshore at Andersen Springs condominiums are located on the east side of the 10 acre man made lake at the southeast corner of Ray and Dobson. Originally built as apartments in 1989, they were converted and sold as condominiums in 2006. The floor plans range in size from 597 sq.ft. with 1 bedroom and 1 bath up to 1,070 sq.ft. with 3 bedrooms and 2 bathrooms. Two bedroom floor plans have approximately 800 sq.ft. Parking includes cover car ports. This gated lake community complex has 3 community pools, a tennis court and fitness center. Access to freeways is convenient as the 101 freeway is only 1 mile to the west, while the 202 freeway is 2 miles to the south. The Chandler Fashion Center Mall is less than 3 miles away. As a result of many of the units being sold as the real estate values were beginning to decline, one and two bedroom condominium distressed sale units have recently sold for less than $100,000. The monthly HOA fee includes exterior maintenance of the unit, roof repair, blanket insurance policy, garbage collection, water and sewer, and common area maintenance. The monthly fee varies depending on the size of the property. Completely Remodeled in the Highly desirable gated community of Lakeshore at Anderson Springs. 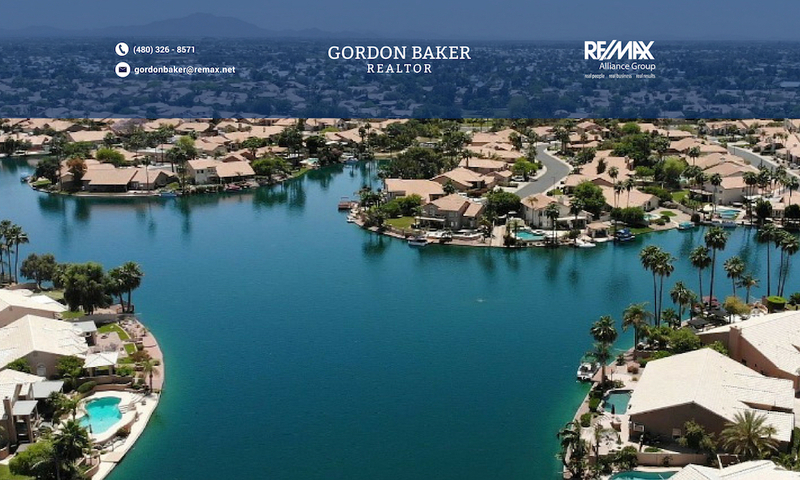 This Resort style condominiums with a beautiful lake, 3 heated pools and SPA, tennis courts, clubhouse, and fitness center is the best place to be in Chandler! This fully remodeled 3 bedroom condo with neutral decor, upgraded tile, brand new carpet, paint with vaulted ceiling, Stainless Steel Appliances, Marble walking shower and counter tops offers an open family room with cozy fireplace has a Large master suite with walk in closet. Eat in kitchen with exit to the amazing relaxing tile covered patio. you will park on your assigned covered parking near the unit.